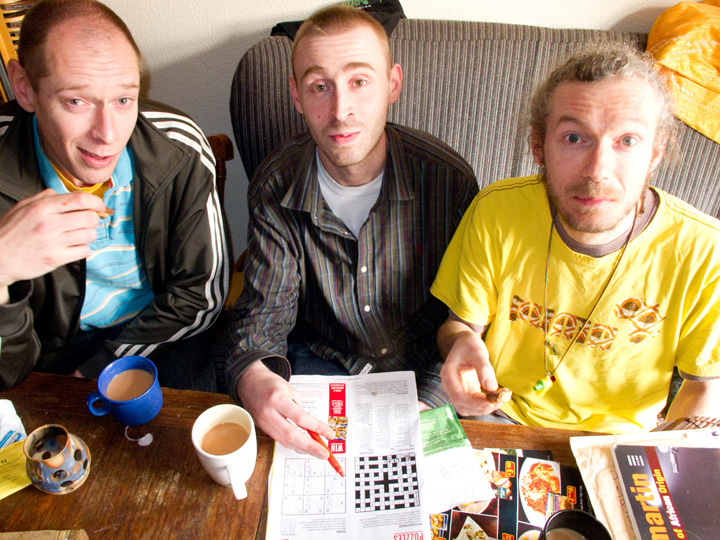 Birmingham based hip hop crew Munchbreak are known and respected in the city’s live scene for forming around a long running live jam at the Rainbow, which began in 2001. Their acerbic wit and intellectual subject matter always marked them out from many ego massaging, inward looking hip hop crews, and the recent addition of three times World DMC Champion DJ Switch has brought them to the attention of new audiences. Most importantly for Espirito Brum, however, Munchbreak have supported the project from its outset, sporting Brazil football shirts to their gig at Espirito Brum 2011, vibing with the visiting artists, and lending moral support through thick and thin. So in May 2012, when we headed out to Brazil to take part in Espirito Mundo 2012 in Sao Paulo and Vitoria, we asked Munchbreak along for the adventure. For all of us, it was a step into unknown territory. Munchbreak performed at one of Sao Paulo’s classiest venues, caught a glimpse of the city’s vibrant freestyle MC scene and played a racist millionaire at pool. 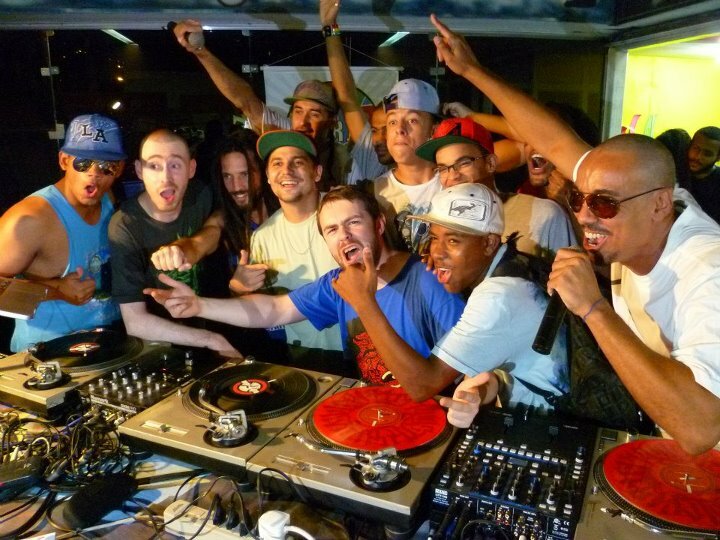 DJ Feva and DJ Switch ran scratching workshops at Ação Educativa. Most beautifully of all, however, Munchbreak met Dragoes de Komodo. On the evening of Sao Paulo’s incredible 24 hour free festival Virada Cultural (take note Arts Fest), Munchbreak and Dragoes de Komodo jammed together at Matilha Cultural, sharing the mic between eight MCs combined, along with others who jumped on to freestyle, and exploring their common ground across verbal communication barriers, through the international language of hip hop. Although Dragoes de Komodo and Munchbreak make different kinds of hip hop, and come from very different worlds, their positive response to adversity through empowering lyrics, their self sustaining independence and determination to make an impact has really brought them together. The two crews are now co producing an EP, communicating virtually to get the bare bones in place, and building towards a work that will truly unite and blend their styles. The finishing touches will be put in place during Dragoes de Komodo’s visit to Birmingham for Espirito Brum 2012, and plans are already underway for Munchbreak’s return visit to Sao Paulo next year. 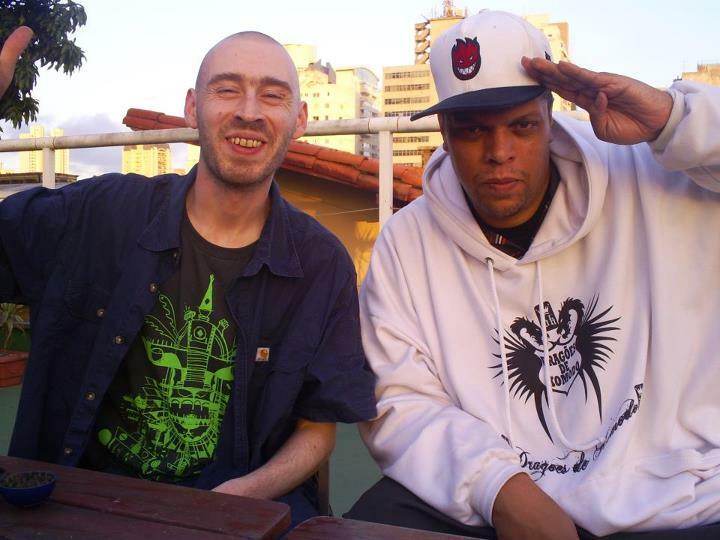 To celebrate the launch of Espirito Brum 2012, DJ Feva has produced a remix of Munchbreak’s track Dirty Kitchen, incorporating vocals he and Mr. Muz recorded with Phantom and Jah Dartanham from Dragoes de Komodo, at Centro Cultural Rio Verde. It’s the start of something really special. In Vitoria, DJ Feva and Dj Switch delivered more stonking workshops, encouraging young and marginalised people to celebrate hip hop’s most positive vibrations. As part of Friction Arts’ residency at the threatened ferryboat station at Paul, DJ Switch performed on an upturned boat, and DJ Feva spat lyrics accompanied by some strictly spontaneous B boys and girls from Atos Hip Hop.